In the healthcare profession, we see human beings at their most human. Vulnerable, sick, scared and tired–patients can be overwhelmed and intimidated by the processes and procedures that comprise the modern healthcare system. When they or their loved ones are sick, it can be difficult for patients to concentrate on details, make rational decisions and follow-through on instructions. Your website should be a resource for patients, providing useful information that answers questions that meet their emotional and psychological needs as well as their practical and functional ones. 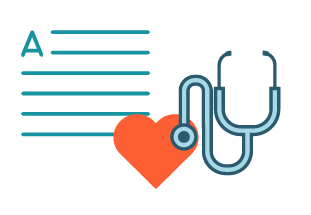 When content doesn’t create a connection, patients often pick up the phone and seek one out–creating more work for your actual human resources. Create content that cares. Use imagery and headlines that validate concerns and reflect the reality of the situation. Recognize what is persuasive to patients goes beyond empirical statistics. Emotional and irrational decision-making is part of the human equation. Whether picking a doctor or determining the best system for a loved-one, people need their emotional values met as much as their rational ones.